Wouldn’t you like to change chords faster? You could if you played them closer. Where do chords originate? The simple answer is: from the letters and tone numbers of a scale. In other words, it’s just like the Scrabble® word game. You know how to play that game, select some letters and then see how many words you can spell with those letters. Well, guess what? Music is exactly the same. You select the letters of a scale and then you see how many chords you can spell with those letters! Since there are many scales from which you can select letters to spell chords from, we will limit this lesson to the G major scale and its chord triads. A chord triad is harmony of three different letters played simultaneously. Many books have been written about this “music-spelling” game. They are known as Music Theory books. These books go into great detail explaining the rules of spelling such as: intervals, inversions, extensions, alterations and so on, until you become a Ph.D. at the spelling game. But who has that kind of time? So, here’s a very simple concept that will have you easily spelling 7 different chord triads from the G major scale. Ready? Just select “every-other-letter” from the scale. Wow, that sure was simple! Let’s begin by illustrating the G major scale as letters and scale degree tone numbers in two octaves. Figure 1. The following ilustrates the circle-6-2, G major scale as letters and tone numbers on the guitar fretboard. Figure 2. Now, let’s start the chord triad spelling game. The first chord of the G major scale is the G major chord, which is spelled with three “every-other-letters: G B D. This first chord of the G major scale is symbolized by Harmony Numeral I (one). Figure 3. Here’s another fun game, find the hidden picture. In other words, find the hidden chord! Do you see the circle 6-1 G major chord hidding within the circle 6-2 G major scale? Here is something interesting. Even though there are only three lettes, this chord has six sounds. Figure 4. And now, a bit of the rules that was mentioned earlier. Since the G major chord begins on the tone 1 (also known as the root and tonic) of the G Major scale, it is called the I (one) major chord. Scale degrees tone numbers: 1 2 3 4 5 6 7 symbolize single pitches. In contrast, harmony numerals: I ii iii IV V vi viib5 symbolize groups of pitches called chords or arpeggios. Chord tones are played at the same time and arpeggio tones are played one at a time with no sustain. The harmonies I, IV and V are major, while the ii, iii and vi are minor. The viib5 is a minor flat five. Traditional music theory calls harmony seven of the major scale: diminished. Now, let’s proceed. In the key of G major, the ii minor chord is A minor (Am, A C E) and is shown in circle 6-3. Figures 5 and 6. The iii minor chord is B minor (Bm, B D #F) shown in circle 5-1. Figures 7 and 8. The IV major chord is C major (C E G) also in circle 5-1. Figures 9 and 10. The V major chord is D major (D F# A) in circle 5-4. Figures 11 and 12. The vi minor chord is E minor (Em, E G B) in circle 4-1. Figures 13 and 14. And finally, the viib5 minor flat five chord is F#mb5 (F#mb5, F# A C) in circle 6-1 and circle 4-1. As we previously said, traditional theory calls this a diminished triad. Figures 15, 16 and 17. As you can now see, all the chords of the G major scale, or any scale for that matter, are within one fret of any other chord. You can’t get any closer, or faster, than that! So, ’til next time, have some fun playing closer and faster chord changes… I’ll be listening! Music, whether it is seen or heard, has three fundamental parts: rhythm, pitch and dynamics. Each of these parts may be studied in great detail, but for this lesson, let’s simply define them as follows: rhythm is time, pitch is a sound that has a letter name, and dynamics is the degree of sound volume from quiet to loud. That all sounds simple enough, but what is sound? Non-musical sound has but one name, noise. However, musical sound has many names. Here are a few: letter, tone number, harmony numeral, scale degree, timbre, pitch, octave, harmonics, vibration and frequency. Let’s look at frequency more closely. The music we hear, in contrast to the silent music symbols we read, is the sound of air moving. This then begs the question, what is moving the air? On the guitar, it’s the strings that move the air. When you pick or pluck a guitar string it oscillates back and forth. It is these back and forth string motions, or vibrations, that are moving the air. These vibrations may be counted and then assigned a frequency number. We’ll skip over all the deep physics and acoustics data, like resonating bodies, air-pressure and amplitude, and instead, we’ll focus on frequency so that you may tune your guitar. The speed of a string vibrating back and forth is steady, regular and predictable in time. The number of times a string oscillates in one second is called frequency. Frequency is measured as cycles per second (cps) which is also known as Hertz (Hz), named after the 19th century German physicist Heinrich Hertz. The frequency range of the human ear is approximately 20 Hz to 20,000 Hz. This may be written as 20 Hz to 20 kHz. 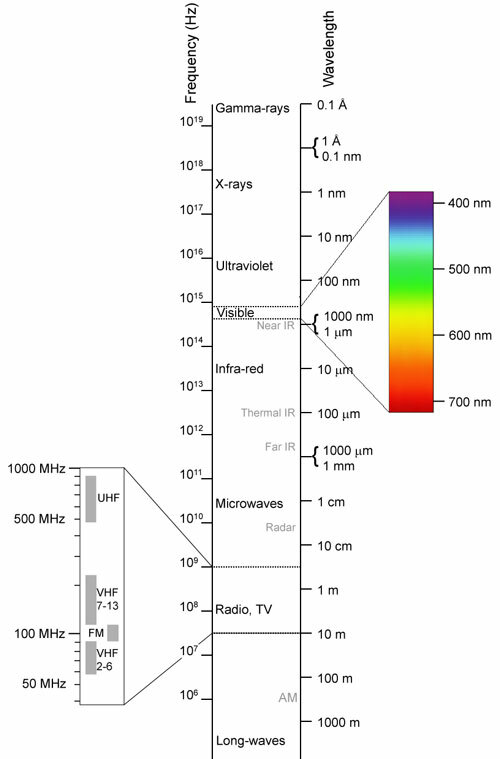 Kilo (k) is the Greek prefix for thousand, 1 kHz = 1000 Hz. The question then becomes, how many times does a string move back and forth in one second? The answer to that question depends upon which string and fret is being played. Any string played at any fret vibrates faster than the human eye can see and count. So, science has to count for us ~ think electronic tuner. Not only are the vibrations counted and given a frequency number, but they may also be assigned a letter, scale degree tone number, and a note location on the staff. For example, string 5 at fret zero vibrates 110 times a second (110 Hz) and is called A (A). On the guitar, Fret Zero is also known as the nut or open. An octave is created by doubling the frequency. Therefore, string 3 fret two, which vibrates at 220 times a second (220 Hz), is one octave higher than string 5 fret zero, and is called prime A (1A). String 1 fret five vibrates 440 times a second (440 Hz), is two octaves higher than string 5 fret zero, and is called squared A (2A). Remember, faster frequencies sound higher in pitch, while slower frequencies sound lower in pitch ~ think treble and bass. It helps if we consider pitch as being Absolute, Perfect or Relative. Absolute Pitch is an external reference to a definite pitch of a specific frequency upon which everyone agrees. Absolute Pitch may be assigned a letter, scale degree tone number, harmony numeral, or staff note. Here are a few good sources of Absolute Pitch: a tuning fork, an electronic tuner, and a “tune-up pitch” from a play-along CD. Remember, audio tapes are not a good source of Absolute Pitch due to the varying playback speeds of different tape players. Here’s something interesting. The International Agreement, which made A = 440 Hz the Absolute Reference Pitch for the entire world, wasn’t agreed upon until 1939! Perfect Pitch is the ability of a person to identify a given musical pitch without the benefit of an external Absolute Pitch reference. Those who have Perfect Pitch exhibit some or all of the following capabilities: identify individual pitches by name when played on various instruments; name the key letter of a given piece of tonal music just by listening without reference to an external Absolute Pitch; identify and name all the tones of a given chord or tone cluster; accurately sing any given pitch without an external Absolute Pitch reference; and name the pitches of common everyday sounds such as the honk of a car horn, the ring of a telephone, the chime of a doorbell, or the hum of a refrigerator. Many believe that you must be born with Perfect Pitch because it seems as though it can’t be learned. In contrast to Perfect Pitch, Relative Pitch can be learned. Relative Pitch, as the name implies, relates to Absolute Pitch and is what is meant when someone says they “play by ear.” In other words, Relative Pitch is the ability to hear an Absolute Pitch, store it in auditory memory, and then match that pitch or relate it to another pitch. In music school they call this ear training. And while it’s true that Relative Pitch can be learned, it sure takes a lot of practice! However, the benefit of Relative Pitch is that it makes tuning your guitar so much easier and faster. 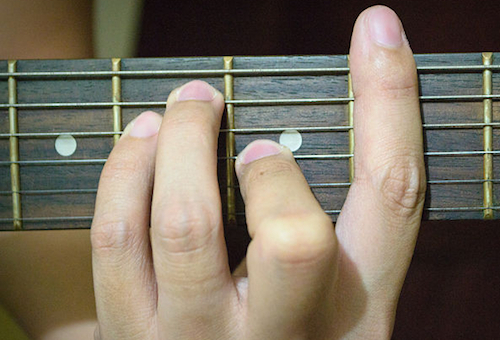 The Relative Pitch method of tuning your guitar by matching or duplicating pitches is known as Unison Tuning. Uni means one and sonus means sound, so, unison means one sound. Said a different way, in Latin uni means one and in Greek iso also means one, therefore, uni + iso(n) = unison. In other words, unison means more than one as one. No matter how we define it, unison is really a coincidence, that is, multiple events occurring at the same time. The prefix “co” means together (two or more as one), and an “incident” is an event. With this said, unison may be further defined to mean: two tones of the same pitch sounding at the same time. One of the greatest things about the guitar is that by playing the same pitch, on two or more different strings of the same guitar at the same time, unison is possible. On the piano, woodwinds, brass and voice, unison is impossible! Okay, now that we have an elementary understanding of the science of sound, let’s apply it to the tuning of the guitar. We’ll begin by giving each of the six strings of the guitar a letter name and frequency number: string 6 E = 82.41 Hz, string 5 A = 110 Hz, string 4 D = 146.83 Hz, string 3 G = 196 Hz, string 2 B = 246.94 Hz and string 1 E = 329.62 Hz. What follows is the method of Unison Tuning that will enable you to tune your guitar by ear! From an Absolute Pitch source, determine the reference pitch. For example, if you want to tune string 6, you’ll need to hear the Absolute Pitch of E = 82.41 Hz. Here’s something important. Be sure to use a tuning fork, or some other source of Absolute Pitch and not a piano, as the piano may not be in tune! Think of it this way, why would you tune a tunable instrument to another instrument that needs to be tuned? Next, assuming that string 6 is in tune, play A = 110 Hz on string 6 fret five. This reference pitch should match string 5 fret zero. 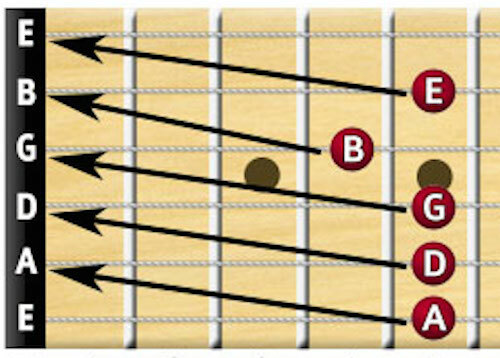 If string 5 fret zero, sounds the same as string 6 fret five, they’re in unison and your guitar is in tune. If they don’t match and sound the same, you’ll need to adjust string 5 higher or lower in pitch until they do. Be patient, this is Unison Tuning ~ and the more you practice it, the better you’ll get! After string 5 is in tune, play D = 146.83 Hz on string 5 fret five. This should sound the same as string 4 fret zero. Again, if it doesn’t, you’ll need to adjust string 4 higher or lower to match the string 5 reference pitch. After string 4 is in tune, play G = 196 Hz on string 4 fret five. This should sound the same as string 3 fret zero. Now, once string 3 is in tune, in order to play B = 246.94 Hz on string 3 you must play fret four. This should sound the same as string 2 fret zero. Remember, the B = 246.94 Hz reference pitch on string 3 is located on fret four. This is a different fret than any of the other strings. Finally, after string 2 is in tune, play E = 329.62 Hz on string 2 fret five. This should match and be in unison with string 1 fret zero. Congratulations! Your guitar sounds so much better now that it’s in tune. ’til next time, keep playing and have fun… I’ll be listening! In the last post we learned the history of guitar effects and how manipulating volume alters the sound of our guitar. Now, let’s take a look at ways to make our guitar sound even weirder by exploring effects that modulate time and frequency. Simple defined, modulate is to change or vary certain characteristics of sound, such as amplitude, frequency, and time. Among the first effects guitarists were attracted to were reverb and echo. From the very first tape-based echo units to the most advanced looping pedals of today, nothing has done more to change the sound of the guitar than time shifting. Here are some of the most classic time modulated effects: Delay and Echo, Reverb, Looping. Delay pedals send back the original audio signal in milliseconds, ms. A millisecond is one thousandth of a second, or 0.001 second. As a general thought, below 20ms is called reverb, doubling is between 20-30ms, and above 30ms is known as echo. Delay effects units produce a repeating effect by adding a duplicate audio signal to the original signal at a varied time-delay. The effect can either be very fast reverb, a single slapback echo, or multiple echoes that last for a very long time. In fact, a delay may last so long that you can play new musical material over the top of the original material, see looping below. It’s also possible to reverse the delay to produce a variety of very interesting effects. Reverb is very fast delay which has each repeat of the original audio signal, known as iteration, decaying at different rates. Spring reverb systems, which are often used in guitar amplifiers, use a transducer to create vibrations in a spring. Plate reverb systems use a transducer to send vibrations across a plate of metal. Most modern reverb effects use digital signal processing algorithms, or DSP, to create a reverb effect by applying multiple feedback delay circuits. Without a heavy use of reverb, there would be no surf guitar! Echo is a slower delayed effect with each echo decaying at a different rate. Echo effects make you sound like you’re playing inside a very large empty room. Vintage analog echo effects, such as the 1959 Echoplex and the 1973 Roland Space Echo, are highly prized and are still in use today. The first digital delay pedal was the Boss DD-2 in 1984. Loop effect units, also known as phrase samplers, are simply delay pedals with extra long iterations and no decay. The first loop effects were created with reel-to-reel tape using a tape loop. Today however, this looping effect is created digitally by using a DSP loop pedal. These loop pedals enable a guitarist to record and then replay a phrase or musical fragment with endless repeats. Loops can be created on the spot during a performance, or they can be pre-recorded. Some loop effect units allow a performer to create multiple loop layers which makes for some interesting musical textures. Modern looping pedals enable the traditional singer-songwriter to add a new dimension to the live performance. Alright, now that you know how to modulate time, let’s learn how to modulate frequency! Effects that modulate frequency produce some of the most interesting and bizarre sounds available for guitar. Modulation effects work by affecting an audio signal’s frequency/pitch to create everything from classic vibrato to outer space-like sounds. Most modulation effects split an instrument’s audio signal in two, altering one portion of the signal and mixing it with the unaltered portion called a carrier wave to create sounds with unusual tonal properties. Here are some of the most classic frequency-based modulation effects: Chorus, Phaser, Flanger, Tremolo and Vibrato. Chorus pedals mimic the very slight out-of-tune differences in pitch that choirs and string orchestras produce naturally. A chorus effect electronically splits the instrument-to-amplifier audio signal into two parts and adds a slight delay and frequency variation to one part of the signal while leaving the other part unaltered. Phase shifting pedals split the audio signal in two and then play back these two signals at different frequencies to produce a spacey, swishing sound. A phase shifter creates its rippling effect by altering the phase of one of the signal paths. Here’s something interesting. In the 1940s, Don Leslie developed a true analog phase-shifting speaker cabinet that split and sent an audio signal to a low-frequency 15-inch drum speaker and a high-frequency horn. The drum and horn rotated at different speeds in opposite directions, producing sounds which oscillated from slow to shimmering fast as the speakers rotated in and out of phase with each other. Flanger pedals are a lot like phasers, but with more of a sweeping, Doppler-like jet plane sound. The first flanger effects were the result of attempts to reproduce phaser effects in the studio by the use of manual tape flanging. Manual tape flanging is produced by recording a track on two synchronized tapes and periodically slowing one tape by pressing the edge, or flange, of its reel. When the two tapes’ audio signals are mixed together, a comb-filter flanging effect is heard. Although you may think they sound similar, tremolo and vibrato are two completely different modulating effects. Tremolo is actually a dynamic effect produced by variations in signal volume, which results in a wavy, in-and-out sound. Electronic tremolo units create their effect by mixing an instrument’s audio signal with a sub-audible carrier wave that generates amplitude variations in the sound wave. And here’s something worth knowing. What a guitar player calls a tremolo-bar is really not a tremolo bar, but rather a vibrato-bar, or whammy bar. This is true because the whammy bar is a mechanical device attached to the guitar bridge that loosens the strings thereby lowering the pitch. This pitch-bending effect should be correctly called vibrato. Vibrato modulates a pitch higher and lower to a greater or lesser degree. A guitar equipped with a vibrato bar, also known as a whammy bar, enables the player to produce vibrato manually. Electronic vibrato effect units allow for the control of the rate of speed at which the pitch variations occur and to set the depth, which is the difference in pitch. The vibrato effect unit enables the guitarist to imitate the micro-tonal nuances produced naturally by singers and violinists as they sustain a single pitch. Setting a vibrato unit to an extreme depth setting, a half step or more, will produce a dramatic, undulating sound. Vibrato effects produce vibrato by mixing the instrument’s audio signal with a modulating carrier wave to create frequency variations in the sound wave. As was said earlier, the terms vibrato and tremolo are often mislabeled. Ring Modulators produce a variety of resonant noises ranging from dissonance and grinding, to metallic bell-like sounds. Ring modulators mix the instrument’s audio signal with a carrier wave generated by the device’s internal oscillator to create tones that are mathematically generated. The original sound wave is suppressed and replaced by a ring of inharmonic pitches known as sidebands. Ring modulators were used by avant-garde musicians in the 1950s as well as the guitar solo on Tony Iommi’s heavy metal super-hit Paranoid. As we have learned, changes in time, frequency and amplitude can greatly affect the way a sound is perceived. So, now that you’ve modulated a signal’s volume, manipulated with its frequency and made it repeat itself… what’s left to explore? In a word ~ filters! Filters alter the frequency content of the audio signal that passes through them by either strengthening/boosting or cutting/weakening specific frequencies or frequency regions. Filtering effects affect the sound waves’ quality in a number of ways, from a wah-wah pedal, that can make your guitar sing or cry, to tweaking EQ so as to make your signal sound as tiny as an old AM radio or as bass-heavy and muffled as the club next door. Here are a few filtering effects to get you started: Equalizer, Pitch shifter, Harmonizer, Feedback, Sustainer, Wah-Wah, Envelope Follower, Talk Box, Simulator and Modeling. Equalizer/EQ pedals use a variety of filters which allows the player to shape the guitar’s sound. An equalizer is a set of linear filters that boost/strengthen, or cut/weaken, specific frequency regions. And while it’s true that guitars and amps have built-in equalization, tone control knobs that manually adjust highs, mids and lows, an EQ pedal allows the player to shape the guitar’s tone much more precisely. EQ pedals are very useful in compensating for a wide variety of signal problems in live situations. Pitch shifters modify frequency by transposing the pitch of an audio signal higher or lower by a pre-set interval. For example, a pitch shifter may be set to increase the pitch by an interval of a fourth which will raise each pitch played a Perfect 4th above the original frequency played. Simple pitch shifters raise or lower the pitch within an octave, while more sophisticated and expensive devices offer a greater range of interval selections. Harmonizers are a type of pitch shifter that combines the original pitch with an altered pitch to create harmony of two or more pitches heard at the same time. Some harmonizers are able to create chorus-like effects by adding micro-tonal pitch shifts. Feedback is an effect produced when an amplified sound is picked up by a microphone or the electric guitar’s pick-up and played back through an amplifier, initiating a feedback loop. Feedback, is generated by playing an electric guitar directly in front of an amplifier set to a high volume. This seemingly primitive technique of volume and guitar position relative to the amp’s loudspeaker can be hard to find, however, when it’s found, the thrill of high-pitched sustained overtones is an experience not so forgotten! Sustainer effects produce true undistorted sustain. One example is the EBow, which is a small, handheld electromagnetic string driver that consists of two coils: one that picks up and amplifies the guitar string vibration much in the manner of a guitar pickup, and one that acts as a magnetic string driver vibrating the string. The EBow vibrates one string at a time. There are also guitar pickups that have electromagnetic string drivers built into them that are capable of producing feedback/sustain at low volumes. Wah-wah pedals create vowel-like sounds by filtering out certain frequencies while compressing others. The wah-wah pedal is operated by a foot treadle that opens and closes a potentiometer which alters the guitar’s frequency spectrum in what is known as a spectral glide or sweep. The first wah-wah pedal, The Clyde McCoy, was manufactured by Warwick Electronics in1967. In 1968, Univox began marketing its Uni-Vibe pedal, an effect that mimicked the odd phase shift and chorus effects of the Leslie rotating speakers we learned about earlier. Wah-wah pedals are the favorite modulating effect of many guitarists. Envelope Followers activate an envelope filter once a designated amplitude/volume is reached. One effect that uses an envelope filter is the auto-wah, which produces a wah effect depending on how loud or quiet the incoming audio signal is played. Auto-wah pedals are wah-wah pedals you can set and forget. Simulators enable electric guitars to imitate the sound of other instruments such as acoustic guitar, electric bass or a sitar. Simulators can make guitars with single-coil pick ups replicate the sound of guitars with humbucker pick ups, or vice-versa. Boss makes an Acoustic Simulator pedal which enables electric guitarists to realistically approximate acoustic guitar tones. A de-fretter effect simulates the sound of a fretless guitar by using an envelope-controlled filter and a voltage-controlled amplifier to soften the pick attack and change the timbre, which is the quality of the sound. A rotary speaker simulator mimics the doppler sound of a vintage Leslie speaker system by replicating its volume and pitch modulations, overdrive capacity and phase shifts. Modeling, also known as amp modeling, is a digital effect that reproduces the sound of various amplifiers, most often analog tube amps. Sophisticated modeling effects can simulate various amplifier heads, speaker cabinets and microphone recording techniques. One of the problems of using many individual effect pedals is that you can only change one effect at a time. Therefore, manufacturers began producing all-in-one pedal board solutions. In other words, pedal boards which were designed to change a variety of different effects at the same time with only one tap of the foot. The Boss ME-70 Guitar Multiple Effects Pedal Board and the Line 6 Pod are two popular multi-effect pedal boards that can simulate classic amplifier sounds, as well as offer a variety of different effects. So, ‘til next time have some modulating fun… I’ll be listening! The first amplified guitars appeared in the early 1930s when big bands were popular. Horn players were the soloing superstars. Guitarists wanted to solo too, but the sound of early amplified guitars was thin, reedy and lacked punch. So, it comes as no surprise that guitarists began looking for ways to make their sound bigger and fatter. 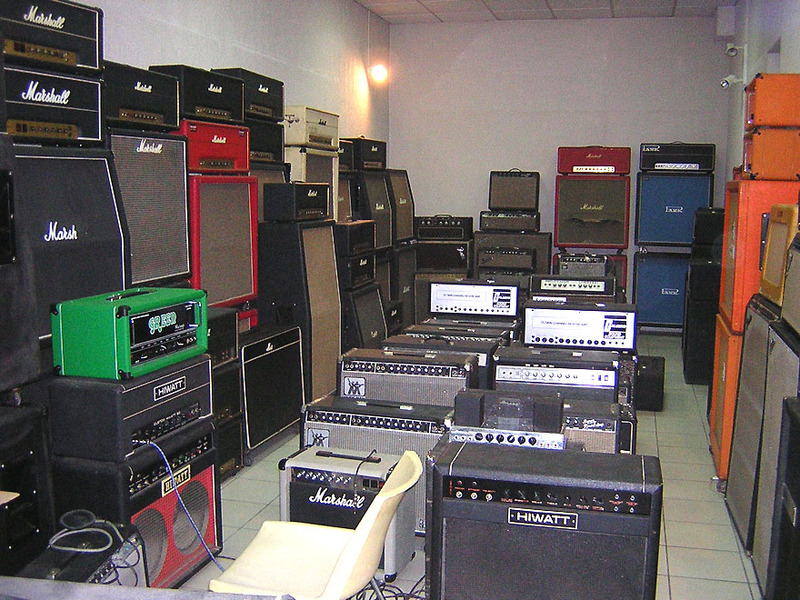 A huge variety of guitar effects is the result of their experiments. The very first guitar effects were built into the instruments themselves, like the 1935 Epiphone Vibrola. We know these effects today as whammy bars. Eventually, electronic effects were built directly into amplifiers. For example, by the 1940s, tremolo circuits were included in many combo amps. Around this time, many guitarists were looking for ways to reproduce the natural reverb and echo they enjoyed during sound checks in empty halls. And by the mid to late 1940s, recording engineers and experimental musicians such as Les Paul began manipulating reel-to-reel recording tape to create echo effects. However, these earliest sound effects were strictly studio productions and didn’t lend themselves to touring and live performance. So, in 1950, the EchoSonic amp became the first amp to feature slapback echo. This sound quickly became popular with Chet Atkins and Scotty Moore. By the late 1950s, many guitar amps manufactured by Gibson, Fender and others, featured built-in tremolo, vibrato, echo and reverb effects. But not everyone wanted the effects hard-wired into their amp, so, stand-alone effects made their appearance. The DeArmond company released the first commercially available stand-alone tremolo effects unit, the Trem-Trol in 1948. However, most of the early stand-alone effects were powered with vacuum tubes and were therefore bulky, expensive, fragile and impractical for live performance. Because of this, the original stand-alone units were not especially in-demand. But all that changed in 1958 when the first popular, and relatively portable, stand-alone tape echo effect unit was introduced. Distortion was not an effect originally intended by amplifier manufacturers! But distortion could easily be achieved by overdriving the power supply in early tube amplifiers. In the 1950s, many guitarists deliberately increased gain beyond its intended levels to achieve distorted sounds. These heavier, grittier, nastier, and more ferocious electric guitar sounds were created by turning the amp’s volume knob all the way to the right until the speaker was screaming. Link Wray’s 1958 recording Rumble inspired countless young guitar players to explore distortion. In 1964, Ray Davies of the Kinks slit the speakers of his amp with a razor blade to achieve the distorted guitar sound heard on You Really Got Me. Then, in 1966, Jim Marshall began producing guitar amplifiers that were capable of producing this desired distorted crunch. By the late 1960s, as the transistor became widely available, everything began to change from analog to digital, and for the first time, engineers were able to create affordable and portable standalone effects demanded by the masses. And by the late 1970s, availability of solid-state guitar effect units had exploded, creating a whole new gear market that continues to thrive today. Simply stated, guitar effect units are electronic devices that alter how the electric guitar sounds. Some effects subtly affect the sound, while others transform it dramatically. Effects are used during live performances and in the studio. And their circuitry may be either analog or digital. Effects come in many forms, they may be housed in amplifiers, stompboxes, rackmounts, table top units, or they may be built directly into the guitars themselves. However, the most common effects unit by far, is the Stompbox. A stompbox, also called a pedal, is a small metal or hard plastic box designed to sit on the floor in front of the player and is connected between the guitar and the amp. Stompboxes may be analog or digital. Stompbox style pedals are the smallest, least expensive and most rugged type of effect housing. The most basic pedal is typically controlled by one on-off switch, containing only one effect and a single LED display to indicate whether the effect is on or not. As was stated earlier, the electronic transistor, which replaced vacuum tubes and allowed for much more compact formats and greater stability, made it possible to cram the aural creativity of the recording studio into a small, highly portable unit. Rackmount digital effects units began replacing stompboxes as the format of choice in the mid-1980s. A rackmount is an effects unit mounted on a standard 19-inch equipment rack. Rackmounts, unlike stompboxes, usually contain several different types of effects. Rackmount effect units are relatively expensive because of this fact. Rackmounts are commonly used in recording studios and front of house live sound mixing situations, although many players use them in place of stompboxes. Rackmounts are controlled by knobs on their front panel. During live performances, the player switches effects by using a digital MIDI foot controller. Multi-effect units, or, multi-FX, can be stompbox, rackmount or tabletop devices that contain many different effects. These units allow users to preset combinations of different effects, enabling the musician to access many different effect combinations quickly. A tabletop unit is a portable multi-effects device that rests on a table or desk and is controlled manually. The Pod guitar amplifier modeler is a good example. As was stated earlier, effects are often built-in the amplifier, and since the 2000s, many guitar amplifiers have built-in multi-effects units or digital modeling effects devices. There are hundreds, if not thousands, of different guitar effect units. And while there is no consensus on how to categorize effects, they may be simply divided into three general categories: volume, frequency, and time. However, since some effects alter more than one category at a time, perhaps we should expand these three categories into the following seven classifications: dynamic/volume, distortion, feedback/sustain, frequency/pitch, filter, modulation and time/delay/echo. In this lesson, we will only explore dynamic/volume and distortion effects. In the next lesson, we’ll look at the remaining effects and chain them together. Now, let’s continue. If you were to ask most guitarists which pedal they would choose if they could only choose one effect, it would probably be some sort of dynamic/volume pedal. This is because, in the journey toward the weirdest guitar sounds imaginable, pedals that make a guitar louder is generally the first choice. Dynamic Effects, also called boost pedals, increase the volume of an instrument and were the first effects to be introduced to guitarists. In fact, a volume control knob is essential on the electric guitar. Volume and boost pedals amplify a guitar’s audio signal in a clean, non-distorted way. Dynamic effect units are generally used for increasing volume during solos and preventing signal loss in long effects chains. A guitarist switching from rhythm guitar to lead guitar will use a boost pedal to increase the volume of the solo. A Compressor or Limiter is an automatic volume control that reduces the volume when the input gets too loud. They make also make quiet sounds louder by setting the dynamic range of an audio signal. This setting is called the threshold. A compressors and limiters are used to normalize, or stabilize the volume and smooth out a strum by dampening its attack and amplifying its sustain. Since the compression/limiter pedal narrows the dynamic range by limiting the volume, be sure to place this effect before the rest of the effects in the chain. As an aside, sustainer effect pedals, which we’ll discuss in the next lesson, provide distortion-free sustain. Many compressor pedals are often marketed as sustainer pedals, which isn’t true. This is because as a pitch is sustained, it loses energy and volume due to the diminishing vibration of the string. And so, because compressor pedals only boost the weakening electrical signal to a specified dynamic volume range, it only slightly prolongs the duration of the pitch. And also, the longer the compressed sound lasts, the more quiet and distorted the sound becomes. Noise Gates eliminate electrical 60 cycle hum and amplifier hiss by silencing sounds that fall below a set threshold. In other words, only an audio signal above the set dynamic threshold will pass through the gate and be heard. Place the noise gate effect at the end of your chain to silence unwanted noises generated from other pedals. Remember to be careful using noise gates, as they may clip off your guitar’s sustain, creating an unnatural and untimely silence. Though clean-sounding volume control effects are all well and good, what many guitar players want is a way to add a distortion to their sound. Here are three different effects which will dirty up your tone: Overdrive, Distortion and Fuzz. Overdrive originally occurred when players first cranked their tube amplifiers up to 10. Or as SpinalTap so famously stated: 11! Overdrive is literally the sound of vacuum tubes pushed to their limits. Overdrive effect pedals either boost a guitar’s signal gain, sending the tube amplifier into an overdriven state, or, they seek to replicate, or emulate, the sound of an overdriven tube amp through a solid-state amp. Overdrive effect units produce cleaner distorted sounds at quieter volumes and dirtier distorted sounds at louder volumes. Distortion pedals boost volume levels and alter wave shapes. Distortion re-shapes by clipping an audio signal’s wave form so that it has flattened peaks. Distortion can sound warm if harmonic overtones are added to the wave shape, or gritty if inharmonic overtones added. Distortion effects differ from overdrive effects in that they produce roughly the same amount of distortion at any volume. Distortion effects are sometimes called gain effects, as distorted guitar sounds were first achieved by increasing the electric power supply, or gain, to tube amplifiers. More distortion effect pedals are sold than any other effects pedal. Fuzz pedals are a type of overdrive pedal that clips any wave shape until it is nearly a square wave. This results in a heavily distorted fuzzy sound. Fuzz pedals distort distortion itself to create a kind of buzzy, hum-like tone. Many fuzzboxes contain frequency multiplier circuitry to achieve an even harsher timbre by adding complex harmonics. One of the earliest recorded fuzz tones was heard in the 1951 Ike Turner song Rocket 88. This fuzzy guitar tone wasn’t the result of a fuzz pedal, as they weren’t invented yet, rather, it was the result of a Fender Bassman amp that had blown a tube after being dropped. In 1962, Orville “Red” Rhodes made a one-off fuzzbox for The Ventures which they used to record the 2000 Pound Bee. The first purposely designed commercial transistorized distortion circuit was the Gibson Maestro Fuzz Tone, which was released in that same year. In 1965, Keith Richards of the Rolling Stones used a Maestro Fuzz Tone to record (I Can’t Get No) Satisfaction. 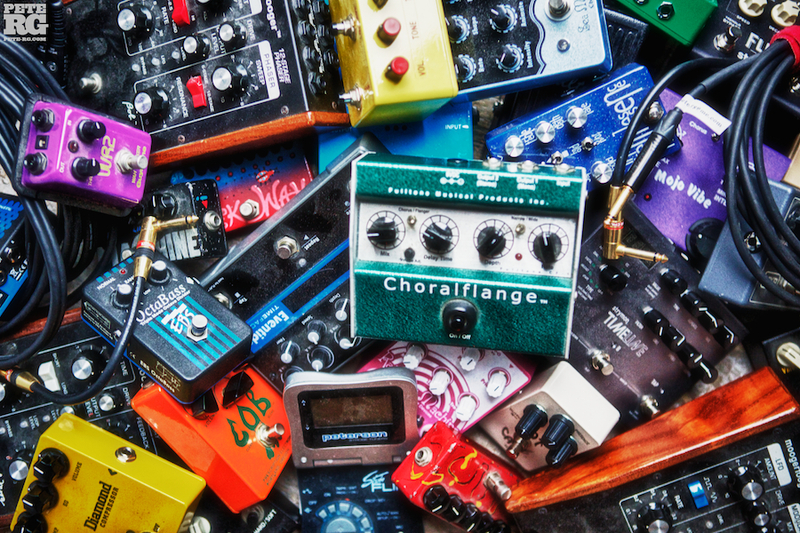 There are a lot more mind-blowing effects pedals to inspire your sound and your songwriting. In the next lesson, Modulation of Frequency and Time , we’ll discover them and learn how to use them. ‘Til next time, have some fun creating affects with your effects… I’ll be listening! You are currently browsing the 12tonemusic blog archives for July, 2014.